Sales of RVs hit an all-time high in 2017. But according to the editor of RVtravel.com, many buyers are rushing their purchase and asking for trouble. Inexpensive RVs, like this Class A motorhome, are selling as fast as manufactures can build them. Consumers must do their homework before buying or risk problems later. 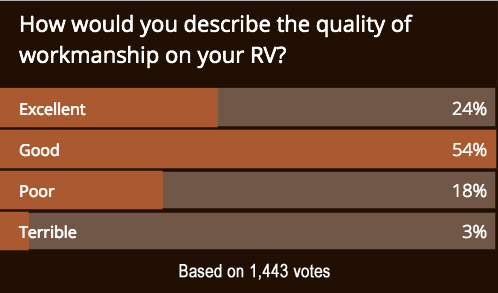 More than one-fifth of the more than 1,400 readers who responded described the workmanship on their RVs as poor or terrible. That’s just not acceptable. Do you think Boeing could get away with that? Would you step on one of its planes? Spring is on the way and many Americans’ thoughts are turning to summer camping trips with recreational vehicles. But they’re doing more than just thinking, they’re buying: RV sales reached a record high in 2017 with more than 500,000 new units shipped to dealers throughout the United States. The problem, says one RV consumer advocate, is that too many RV shoppers are making bad buying decisions. Chuck Woodbury is the editor of http://rvtravel.com and the host of the Better Business Bureau DVD “Buying a Recreational Vehicle,” available at many public libraries. He recently sold his condo near Seattle to travel full-time in a 32-foot motorhome. The RV industry fights state lemon laws, he says, “so there is typically no help there.” He urges new RVers to consider buying a used unit, where the previous owner has worked out the problems. To learn more about RVing, visit Woodbury’s website http://www.rvtravel.com. Woodbury stands atop Q Mountain in winter snowbird haven Quartzsite, ArizonaChuck Woodbury has traveled by RV for more than 30 years. 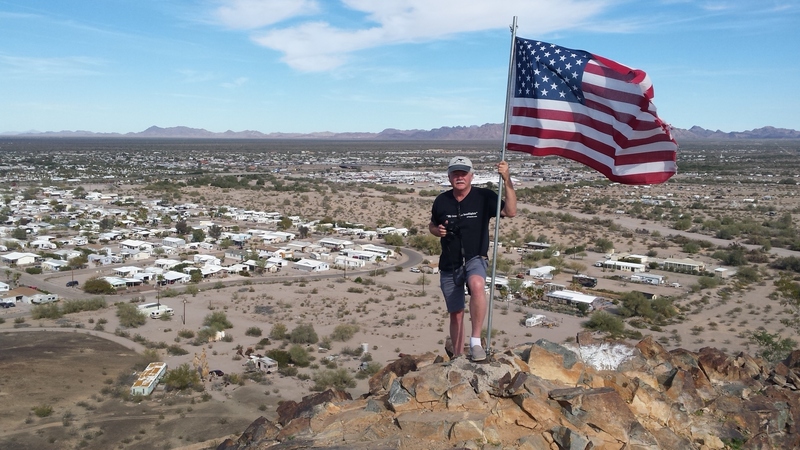 Here he stands atop Q Mountain in Quartzsite, Arizona, where tens of thousands of RVers descend every winter to soak up the sun and camp free or nearly free on government lands. Before buying, attend RV shows to comparison shopRV shows, like this one in Seattle, are a good place to get acquainted with a variety of RVs. Just don't buy one before doing your homework. Not your Grandma's kitchenThe kitchen area in this fifth wheel trailer is posh as those in a luxury home. 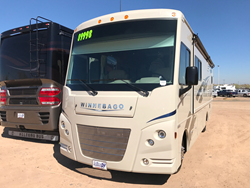 Some RV buyers fall in love at first sight of such beauty and comfort and forget to examine the rest of the RV closely for potential problems. More than one-fifth of RVtravel.com readers described the workmanship on their RVs as poor or terribleIn a recent recent reader survey at RVtravel.com, 21 percent described the workmanship on their RVs as poor or terrible. “That’s not acceptable,” said Woodbury.